Since we’ve been talking about college application essays, I might also add that Lulu wrote two application essays on Lemony Snicket. Apparently this was a bad idea, as she got wait-listed at both schools. Then again, one might assume that a school which wait-lists applicants who write essays on Lemony Snicket has a severe lack of imagination. In which case writing essays on Lemony Snicket is probably a good idea–after all, who wants to go to a college that lacks imagination? 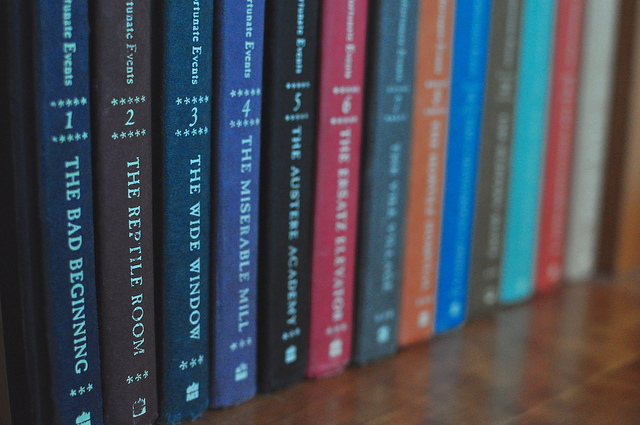 I’m rather fond of essays on Lemony Snicket. In fact, I wrote one myself, and it’s up at Literary Mama today. It’s an essay on my family’s shared love of Snicket, the writer who has served as a literary mentor to each of my kids, even though he isn’t real. Well, he isn’t real if you lack imagination. I think you’d like it, Mama,” H. said, passing the box of cassettes forward from the backseat of the car. You can read the rest at Literary Mama. P.S. There’s an accompanying writing prompt at Literary Mama, with a chance to get published on their blog. Try it out! WE heard the first 2 books in audiobook format at our house. We did enjoy the writing style of the writer but the subject matter was a bit depressing. My kids had no interest in continuing the series. I completely dislike these books that have kids all alone in the world running around in midst of troubles and adventures without an adult in sight to care for them. Ugh! 😐 Why can’t kids have adventures and grow up with their parents around? Well, I understand that these books aren’t for everyone, Tereza. My kids and I have a somewhat warped sense of humor, I suppose. At least there’s a world of books out there! Something for every family. I, too, love Mr Snicket. He is sooooo funny! And I like that the kids are so resourceful. That they can THINK! And overcome. Nice essay! Thanks for the kind words, Rhythm. My kids and I admire the Baudelaire siblings for just the reasons you do. They’re smart cookies. 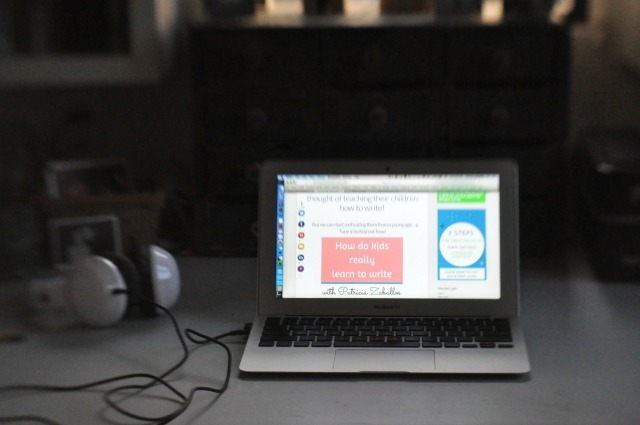 I just discovered your wonderful blog via Amanda (The Habit of Being) and am enjoying discovering your posts. Hello, Danielle! I always love to meet new readers–especially fellow writers. Thanks so much for stopping by! 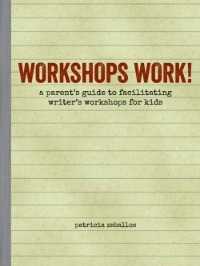 Patricia- So glad to have discovered your writing, your blog and your book through Literacy Mama. I will be back! 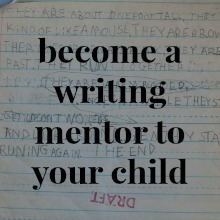 Sounds like we’re kindred spirits!There’s nothing like writing alongside your kids. The learning goes both ways.